How Can I Access Blocked Social Media in China? Hello. I would like to know how to access blocked social media in China. I am moving to China with my family, but I heard that most western social media is blocked there. Is there a secure and effective way to gain access to those contents? After all, I don’t like give up my social media apps. I need them to keep in touch with my friends. Any suggestion? Can’t Access Your Favorite Social Media in China? If you live in China or ever have been there, you may know that you can’t use the Internet the way you like due to the government censorship. Like other governments, the Chinese government monitors Internet users’ online activities, check communication on social media platforms and create censoring system to have everything under control. The different thing is the Chinese government chooses to block platforms that they can’t control. There are a huge number of websites, applications and services are blocked in mainland China. Most of them are social media websites including Facebook, Twitter, Instagram, Pinterest, Snapchat, and Google+ etc. You won’t be able to visit those websites with the local servers. Which social medial is blocked in mainland China? Facebook and Twitter are popular messaging apps. They were first blocked in China in 2009. The blocking has something to do with a number of riots in the western capital of the Xinjiang province, Urumqi. It was reported that Minority Muslim activists made use of Twitter and Facebook to communicate and organize the riots secretly. To prevent similar riot, the government decided to blocked those two services as they couldn’t monitor them. Instagram also is blocked in China. This social media allows users to see and openly communicate with users in other countries. The government believes that this social media can provoke their people to turn against them. Besides, this platform was attacked by the Russian hackers. Soon enough, Instagram is blocked by the firewall. Telegram App utilizes cloud-based technology for instant messaging & VoIP and gives you the ability to synchronize your chat records across all devices, destruct messages with a timer and build your own tools on their API, promoting a new era of communication. However, it can’t escape from the fate of being blocked. 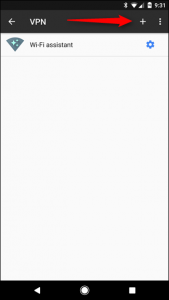 LINE app also is in the blocked list. This app ranks among the most popular instant messaging services. It allows users to make group calls involving over 200 people at the same time, making it convenient and affordable to have online meeting. WhatsApp is hugely popular because of the end-to-end encryption while it also is blocked by the Great Firewall of China. The government can’t track or know what users do on the Internet as the communication data is encrypted, so they decide to block it. There are too many blocked social media to list all of them. If you are travelling or moving to China, you need to prepare. Luckily, A VPN will help you unblock those platforms by creating a secure, private, encrypted tunnel between your device in mainland China and a VPN server from somewhere else on the earth. How do users in China interact with each other online as the Facebook, Twitter and other famous apps are blocked there? China surely has their own social media platforms. WeChat is the hottest messaging and VoIP app there. It is a reliable alternative to western social media apps in China. This messaging app has amassed over 1 billion users worldwide. Almost all of the Internet users have WeChat accounts. This social media platform is famous for a simple yet attractive looking design with exquisite features. It offers Look Around and Shake feature to make friends with strangers. It also has been a popular payment tool to make payment at store, restaurant, coffee house, supermarket and more. Though it is a great service, but foreigners still want their old social media platforms because they need them to contact their family and friends at home. Their family and friends don’t use WeChat. Therefore, users need to bypass the firewall to use the blocked social media in China with a reliable tool. China is a great country. Many people travel and even move to China for different reasons. Can’t stand the strict Internet censorship? That’s not a problem. You don’t have to sacrifice your old habits when travelling or moving to China. Though the Great Firewall of China is very powerful, there still are ways to evade it. One tool is the proxy. A proxy is a website that is based in a different location and it grants you access to the blocked websites through it. It helps you unblock the social media, but its downside is that your information sent over the website is not protected. You may be attacked by malware or hackers. You also can Tor is a free anonymity network. It utilizes onion routing to encrypt and channel communications across a global network, helping you bypass firewall and restrictions. However, Tor slows down your connections badly and you barely can load a video. Besides, you only can unblock contents on Tor browser while you still can’t access the blocked content on Chrome or Safari. Another way to get around the firewall is VPN. VPN is the Virtual Private Network and it is turned out that VPN is best way to unblock social media in China. VPN encrypts your connection to gain security and disguises your network to make you appear from somewhere else. The connection between you and the VPN server is encrypted, so the ISP does not know you are visiting blocked websites. VPN enables you to establish a virtual point to point connection through encrypted servers, protocols and traffic encryption, letting you circumvent censorship, safeguard your personal data and location and securely send data on social media across the world. You will be able to use Facebook, WhatsApp and more famous social media platforms. Besides, VPN helps you unblock streaming websites, game platforms, cloud storage services and more contents that are not available in China. VPN is a super useful tool for Internet users. The censorship system has been updated now and then. It is very necessary to pick the right VPN. There are various VPNs in the market while no all of them are able to fight against the Great Firewall of China. 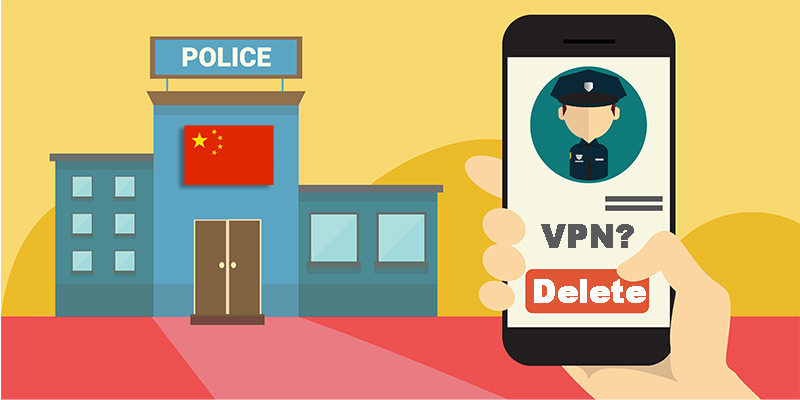 When you choose a VPN to gain access to blocked social media in China, you need to consider in many aspects. First of all, it has the ability to bypass the firewall. Some VPNs are designed with special protocol or tunnel for Internet in China. However, some VPNs are detected and disabled by the firewall. You can read VPN reviews to know which VPN works in China. Secondly, the suitable VPN is supposed to comes with a money-back guarantee. If you find out that the VPN do not work in China, you can request a refund and purchase another VPN. You won’t waste money on a VPN that does not help at all. Thirdly, the encryption standard should be high enough to stop government monitoring you. Fourthly, the VPN provider should offer servers with high uptime and no traffic log policy to ensure your privacy is completely safe. The firewall becomes sophisticated and granular. It cracks down new websites and VPNs instantly. One VPN works in China today and it can be blocked tomorrow. Therefore, do your research carefully at home when still have full access to search engines like Google. Find out the best VPN for blocked social media in China. Install and set up VPN before you fly to China. When searching for a VPN, you may find that there are expensive, cheap and even free VPN. Since there are free VPNs, is it necessary to purchase a premium plan? Should you choose free or paid one? If you are a VPN user, you may notice that free VPNs come with limited bandwidth, servers and protocol options. You still can fully enjoy the Internet freedom. Besides, you may end up downloading a lot of potential unwanted applications and being interrupted by a lot of pop-up ads when using unreliable VPN. You may open yourself up to identity theft as the evil provider can collect and sell your browsing data and even your bandwidth to third parties. Do not put your precious data at risk. A reliable premium VPN will provide unlimited bandwidth, speed, strong encryption, high privacy protection and more advanced features for all-round protection. 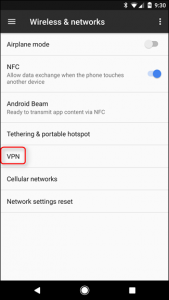 How to Use VPN to Access Blocked Social Media in China? 1. Subscribe to a reliable and suitable VPN. 2. After successful subscription, install the VPN client on your devices. Enter your login credentials, select any server outside the China, and wait for the connection to establish. 3. Once the VPN is connected, you can use any social media you like. Please note that using VPN is legal in China. If you are found participating in illegal activity while using a VPN, you can still get in trouble. If you have any questions about how to safely access blocked social media in China, please live chat with YooCare Expert now. 9. Activate TCP/IPv6 (Internet Protocol Version 6) for good security! 10. Go to Network Connection Window and click the connect button. 11. After connecting, you will be able to see an icon connected to system tray. 4. 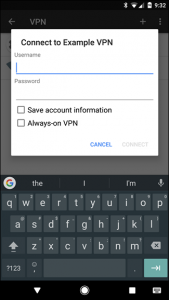 Input connection name, select the type of your VPN connection – PPTP VPN, input VPN server address from your account data. Please be carefully – don’t use any additional symbols like spaces, http://, www, / …etc in the server address. 5. Input your Username and password that you received from VPN account service in e-mail. Without the help of VPN, it is hard to access blocked social media in China and in such a case they can opt for a reasonable cost and also works in China. After installing the VPN, it has to be made as the default server and then it can access any sites without any trouble. 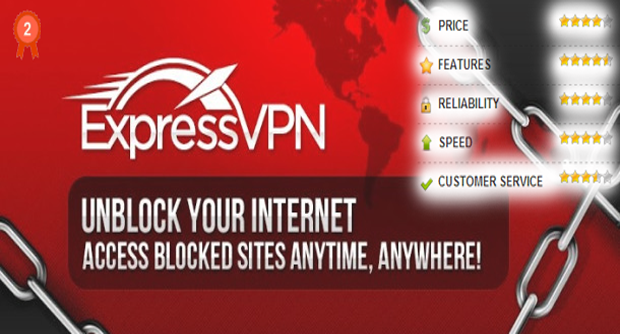 ExpressVPN is a great option to unblock social media platforms in China because it comes with 99.9% uptime, unlimited bandwidth, strong encryption protocols and no logs kept, excellent speed, great price and fantastic customer support. It has over 2000+ servers in 140 locations and 90 countries worldwide to let you choose for the best connection. NordVPN provides customers with ultimate security and helps to bypass government surveillance. Its double VPN feature hides your internet connection by passing through two servers in different locations. That is another layer protection to prevent the Chinese firewall and ISPs from detecting your real location. It lets you access blocked social media in China firmly. PureVPN bypasses the censorship in China with strong encryption, unlimited bandwidth, no traffic logs, Kill Switch, Split Tunneling, Port Forwarding and five simultaneous connections on your different mobile devices. It hides you from the prying eyes of the Chinese government with 2000 + servers anonymously owned servers. China is adding new tools in firewall to block more platforms. 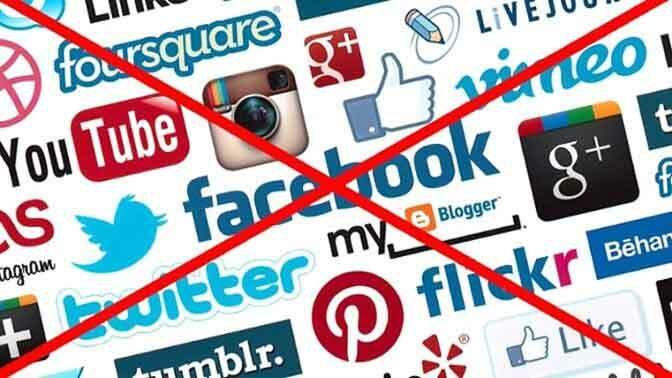 There is no sign that the government will unblock the western social media. To gain access to the blocked content, you need to find out a way on your own. The Great Firewall of China is very powerful. You can’t escape from the censorship when using the Internet without hiding your real IP address. You need a reliable tool to circumvent the strict system. So far, VPN is the most secure and effective way to gain access to blocked social media in China. A VPN provider offers anonymous IP address to mask your real one. 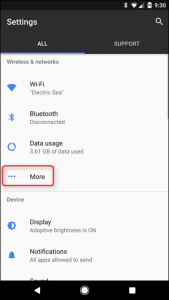 It allows you to connect to a different server from another country you choose, shifting your location and fooling geo-restricting algorithms. 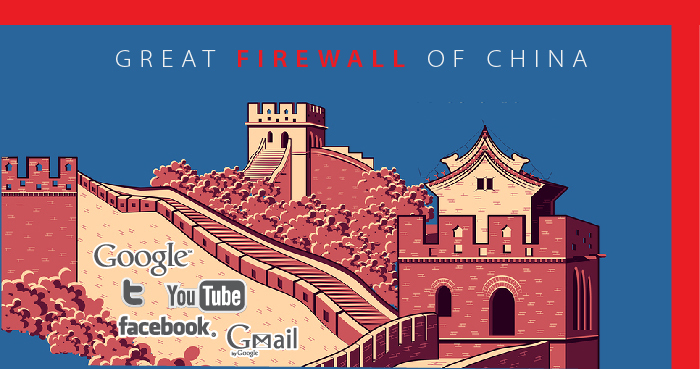 The firewall won’t detect you are actually in mainland China, so the ISP and government have no reason to block your connection. At the same time, they do not know which website you browse and what activities you perform online as all of connections to the Internet are encrypted. They won’t notice that you are using blocked social media in China. As some VPNs are blocked in China, download a suitable VPN before you leave home so that you can access the Internet normally after arriving at hotel. If you still are frustrated with the annoying blocking of websites like Facebook, Twitter, Instagram and WhatsApp, it is high time you considered using a VPN service. Pick the best VPN for China to ensure that you can bypass the Great Firewall of China successfully. Don’t hesitate. Grab a VPN to gain access to blocked social media in China now. Kindly Reminder: If you have any question regarding how to safely access blocked social media in China and how to Set up VPN on your device, you are recommended to live chat with YooCare online expert for help.